A posh waterfront location, spectacular cuisine and superb service combine to create a unique Cape Cod dining experience at twenty-eight Atlantic, the Wequassett Resort and Golf Club's signature restaurant. A perennial favorite among discerning gourmands on Cape Cod, the fine dining restaurant serves breakfast and dinner with seasonal menus changing based on the best of Cape Cod's produce and seafood. Carefully cultivated relationships with local farmers and fisherman ensures menus featuring only the best in locally-sourced ingredients. A spacious yet intimate feeling dining room beckons diners with dramatic stone fireplaces, Shaker style furnishings, hand blown glass chandeliers and nautical etchings. Limoges china and Riedel stemware create an atmosphere of eclectic style and quiet luxury. After graduating from culinary school, Hackney worked in the award-winning country-house hotel, StaplefordPark, a Bob Payton and Rick Tramonto collaboration just outside London. He eventually made the decision to travel to the United States where he worked at yet another award-winning establishment, TheBlantyre, a Relais & Châteaux property in Lenox, Massachusetts. During the off-season Hackney would travel to Florida to work in Boca Raton’s La Vieille Maison and Charlie Palmer’s Palm Beach restaurant, Aquiterra. Craving the city life and intrigued by Chef-Owner McClelland’s energy and style of cooking as well as the opportunity to put into practice all of his acquired skills, Hackney joined the team atL’Espalier in 2001. Hackney brought a passion and precision of execution to the kitchen that is essential to the continuing development of the eclectic cuisine that L’Espalier is known for. In the spring of 2011, Hackney headed for the Cape, landing a position as the new Executive Chef of twenty-eight Atlantic at Wequassett Resort and Golf Club, Cape Cod’s only AAA Four Diamond and Forbes Four Star resort. A perennial favorite among discerning gourmands in Cape Cod, the restaurant is a perfect match for Hackney’s culinary sensibilities. 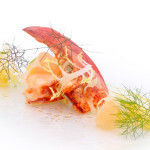 Believing that food should create a lasting memory, Chef Hackney was inspired by Wequassett’s distinguished reputation, waterfront location and the quaintness and tranquility of the surrounding area. His menus take their cues from the Cape’s rich maritime history and culinary traditions crafted around local seafood and produce.